Joseph Nicéphore Niépce, also spelled Niepce (March 7, 1765 – July 5, 1833) was a French inventor, most noted as a pioneer in photography. Niépce was born in Chalon-sur-Saône. He began experimenting with processes to set optical images in 1793. Some of his early experiments produced images, but they faded rapidly. He was said to have first produced long lasting images in 1824. 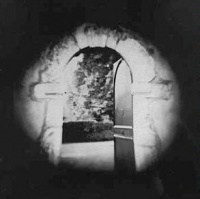 The earliest known surviving example of a Niépce photograph (or any other photograph) was created in June or July of 1827 (or 1826, according to some sources). In 2002 it was dicovered that there was a previous photograph taken by Niépce. It was taken in 1825 of a young stable boy leading a horse, the photograph was auctioned off in France for more than 500,000 Euros ( approx. 678,000 USD ). Niépce called his process "heliography", meaning "sun writing". The exposure time required is an issue still debated today, somewhere between 8 and 20 hours. Because of the very long exposure time, the process was used to photograph buildings and inanimate objects, but could not be practically used to photograph people. Starting in 1829 he began collaborating on improved photographic processes with Louis Daguerre. Together Louis Daguerre and Niépce developed a process that involved lavender oil, this process was named Physautotype. The Pyreolophore. This was the first internal combustion engine ever, which was invented and patented by the Niépce brothers in 1807 and 10 years later, they were the first in the world to make an engine work with a fuel injection system. The Marly Machine: It was in 1807 that the imperial government opened a competition to receive projects of hydraulic machines to replace the one that in Marly was used to deliver water to the Palace of Versailles from the Seine river . Built in 1684, the original machine located in Bougival, on the Seine river, was pumping up water on a one kilometer distance and an upslope of 150 meters. The Niépce brothers imagined a new principle for the machine and improved it once more in 1809. The machine had undergone a lot of changes in many of its parts. The mecanism in the system was more elaborated: its pistons joined to the advantage of being more precise, another one that is to create far less resistance. They tested it many times, and the result was that with a drop of 4 feet 4 inches, it lifted to 11 feet the 7 /24 of the water it loses. But on December 1809 they got a message that they had waited too long and the Emperor took himself the decision to ask the engineer Perier (1742-1818) to build a fire machine, also known as a steam engine, to operate the pumps at Marly. Niépce died suddenly in 1833. The Niepce crater on the Moon has been named after him in recognition of his accomplishments. As of 2004 Niépce's photograph, View from the Window at Le Gras, is on display in the Harry Ransom Humanities Research Center at the University of Texas at Austin. The image was rediscovered in 1952 by historians Alison and Helmut Gernsheim. Unless indicated otherwise, the text in this article is either based on Wikipedia article "Nicéphore Niépce" or another language Wikipedia page thereof used under the terms of the GNU Free Documentation License; or on original research by Jahsonic and friends. See Art and Popular Culture's copyright notice. This page was last modified 23:11, 18 December 2014.